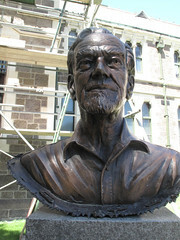 Bill Sutton is one of the Canterbury Heroes - a set of twelve bronze busts of important local figures. "Artist, painter and craftsman, student and teacher (1934-41, 1946-79) at Canterbury College and University, pre-eminent painter of Canterbury landscapes and people"
Artist Bill Sutton was born in 1917 in Sydenham, Christchurch. This page links to library resources about his life and works. Sutton first attended art classes while still at high school, and later attended Canterbury College School of Art, graduating in 1937. After war service he studied at the Anglo-French Art Centre in London. He then travelled and saw the work of the European masters as well as documenting his journey with paintings. On his return to Canterbury he began to paint the Canterbury landscape using both representational and abstract methods. He was part of The Group, who exhibited contemporary art works from 1927 onwards. Well-known works include Nor’wester in the cemetery (1950), Dry September (1949), Te Tihi o Kahukura and Sky (1977), and the Land Synthesis (1980), Land and Sky (1984) and the Plantation (1986-88) series. In 2010 the Christchurch Art Gallery Te Puna o Waiwhetu presented an exhibition of Sutton’s watercolour paintings created during a 1973 trip to Italy. You can view several more of his works online on the Art Gallery’s website. 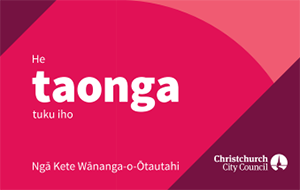 His portraits include HM Queen Elizabeth II (1975) and former mayor of Christchurch, Sir Hamish Hay (1987). Bill Sutton taught at the School of Fine Arts at Canterbury University for 40 years. He was granted a lifetime membership to many art societies around New Zealand and was made a Companion of the British Empire in 1980 for his services to art. He died 23 January 2000 in Christchurch. 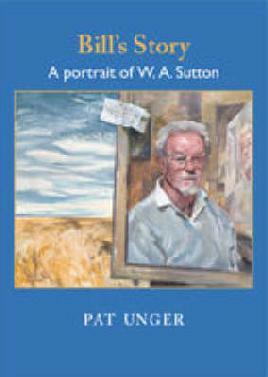 Unger, Pat, Bill’s story : a portrait of W. A. Sutton Christchurch, Canterbury University Press, 2008. The book Twelve local heroes : a celebration : set of bronze busts commissioned by the Local Heroes Trust, Mark Whyte, sculptor details the evolution of the Canterbury Heroes busts.